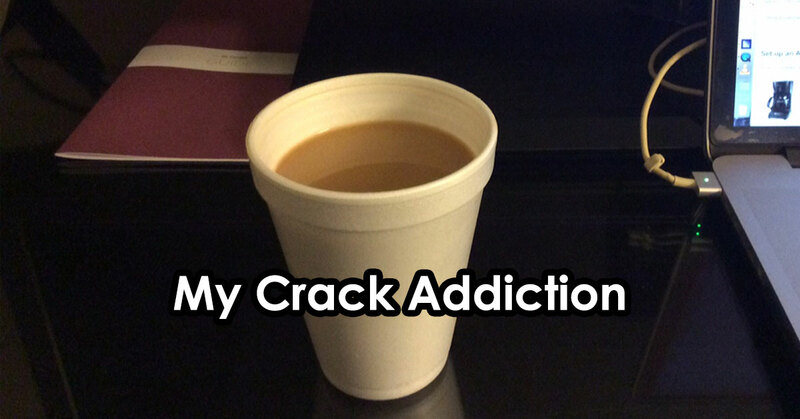 It seems no matter how hard I try to avoid it, I often end up like a crack addict, pacing at 5am until the right connection can feed my addiction. No phone call will bring me what I want. And certainly no man in a darkened alleyway will sell me my fix. So I’ve decided to bite the bullet and do what no guest staying in a hotel room should have to do – elaborately make their own. I’m talking about coffee, and my need for a good, strong cup-a-Joe first thing in the morning. My coffee addiction is a major contributory factor to my need for a daily Prilosec for the acid reflux. It’s like taking uppers and downers to balance you out. But it’s what I need to get me going. Without the coffee, I’m lost. It’s what get’s me started in the morning. Until I get the coffee, I obsess like an addict desperate for their next fix. I was up at 5am this morning, and was assured last night that I would be able to get a cup of complimentary brew in the hotel lobby. It seems there was a miscommunication. The early start that I was hoping for was sabotaged by the lack of coffee to get me going. I couldn’t start writing this until I was handed, at around 5.25am (as a special favor) the cup you see in the picture. That was after a slight dressing down from hotel security for sticking my head around the kitchen door to enquire about the coffee that wasn’t available. I wasn’t even going to write this; it never even occurred to me. The plan for this morning was to make some fixes to my website before the sun came up. Instead, I was inspired to write about my addiction and how it gets in the way of my productivity when I’m staying in hotels – even good hotels. That’s what I’m asked by hotel staff who don’t drink coffee, or who aren’t fussy about their coffee. I’m fussy. Whether you call it “rocket fuel”, “jet fuel”, “motor oil” or “truckers’ brew”, what I like to drink is Strong with a capital ‘S’. The machines they put in the room today are very lackluster for a serious coffee drinker. I have to be explicit in my description to explain why to hotel staff: “I can pass water that’s stronger than what comes out of that machine,” I tell them. Like I said, I take my coffee seriously. It has to be strong. I’ll have one or two cups to get me going, then I swear off caffeine for the rest of the day. I should probably start a support group for other sufferers of this terrible addiction. But I like to focus on solutions and I think I have one, as ridiculous as it’s going to sound. If the hotels I stay in would consider what the paying guest really wants and needs, then I would never have to do this. Why on earth would they remove the complimentary brewed coffee from the lobby an hour or two BEFORE the lobby coffee shop opens? It makes no sense to me. Yes, I’m going to be the crazy guy who flies with his own coffee machine. The coffee you use in a machine like this certainly makes a difference, but I’m happy to settle for Folgers. For me, it’s not all about the gourmet beans; it’s about how much coffee you put in the machine. And the answer is “lots of it”. I don’t want anything I’m not entitled to, however in an expensive hotel like a Hyatt, you’d hope they’d work a little harder than a Super 8 to give you options. Even the Golden Arches has more than one type of coffee. You can have filter coffee, espresso or latte for example. In a hotel where the room costs $300 per night, they could give you options. Let it be said that you can’t please everyone. Some people will always find a reason to complain. I’m always looking for solutions, not an opportunity to complain. Often my suggested solutions fall on deaf ears. Well, almost deaf. What they hear is a complaint. It’s not the same thing. It wouldn’t be hard for a big hotel to keep a handful of different coffee machine choices and ask the guest on check-in which they’d prefer to have. After all, they ask you what frickin’ newspaper you want! I don’t start the day with a newspaper, I start it with good coffee. The same thing goes for the choice of creamer. I mean, it’s in the name, people! Creamer. It comes from a cow. So no powdered creamer will do for me. A chilled creamer not only gives the required flavor and texture, it also creates the right coffee-drinking experience – because it cools the coffee down enough to where you don’t burn your tongue. They’re small details, but lots of small details make the bigger picture. You can’t please everyone, but just a little more thought, a little more time and just a little financial investment can transform the experience of your more picky customers. In your business, it may not be strong coffee that the customer wants. It could be anything else. I understand that no business wants to keep stock sitting on the shelves if it doesn’t move. But there’s often a solution, sometimes creative and sometimes rudimentary, to providing exactly what your pickier customers want. And THOSE are the customers who tell the stories. They’re the customers who post online reviews and tell everyone about their experience. I know, because I’m one of them. I’m your best customer or your worst customer. Which one I’m going to be is your choice. I get asked, “Did you manage to get your coffee at the hotel?” It becomes a running gag, but my friends know it’s one of my benchmarks for scoring the standard of where I’m staying. I don’t just get asked though. I tell. A lot. Wherever I go, people tell me I should be a stand-up comedian. And I’m going to try an open-mic spot. But I don’t need a comedy club to share my experiences. Not only do I have this blog, I’m a public speaker. 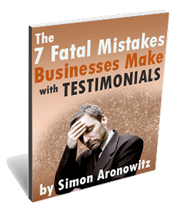 I share with businesses the strategies for getting outrageous testimonials and online reviews. And I pepper my presentation with humor. I often include my customer service experiences, but either because there’s a lesson in them, because they’re funny, or both. Trust me, you don’t want me as an unhappy customer of your business. I am not the only one like that. If you run a business, think about what makes someone your best customer and what makes someone your worst customer. Then start trying to make them all your best customers. Sometimes all it needs is a $20 coffee pot. Since the Hyatt won’t give me my own coffee pot, I’m going onto Amazon now to buy my own. And I will never again be pacing a hotel at 5am, looking for a strong cup of coffee. 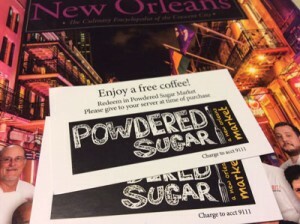 While two coupons for free coffee at 6am does not solve the desperate need for caffeine at 5am, there is the potential for a happy ending, at least at the Hyatt in the French Quarter of New Orleans. As I headed back up to my room just a short while ago with my first large, complimentary coffee, I bumped into Edwin, today’s Duty Manager. As usually happens, we both laughed as I explained what my blog post would be about – and how we had a chance to give it that happy ending. The first change that he is able to make himself is to ensure that the complimentary coffee available in the lobby will be there until the coffee shop opens. I’m also delighted to report that Edwin will talk to his higher-ups about the small investment they could so easily make to transform stories like mine by giving their customers choices. How much do a few coffee machines cost? How much money does the hotel waste on newspapers every year that guests don’t read? Hopefully his superiors will, too.